7067 khz - it`s not a test calls for daily transmission of automatically/manually generated radio signals from different stations around the world at scheduled time slots. Recalling the sputnik satellite’s outer space broadcast of radio pulses in the fifties, Eleonore's 7067khz inverts the space signals to earth signals, calling for like-minded media/cultural spaces and artists to sign on for signal sending. 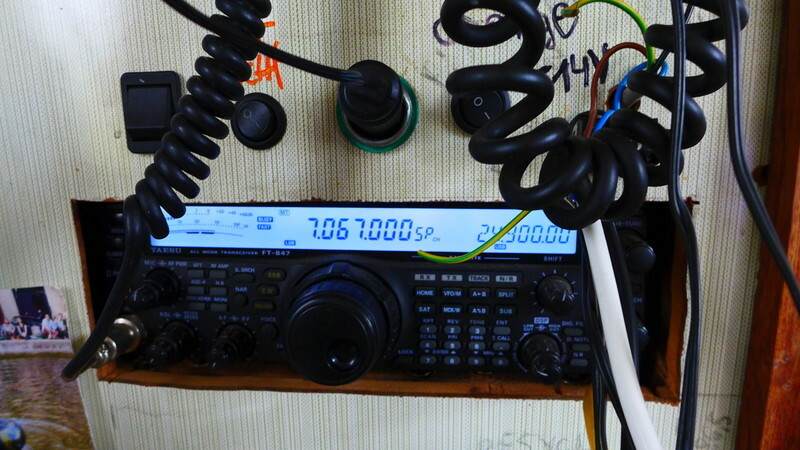 The 7067khz stands for independent information and communication, bypassing the use of internet. We do not want to specify the content of the transmission, rather we consider the act of sending the signals an act of solidarity in this post-internet future present. We seek participation of signal sending in SSTV (slowscan TV) and CW (continuous wave) modes. During STWST48x2, we start the 7067 evening at 21:00 with Radioscape (radio spectrum recorded from 3GHz to 30kHz at Besseuil, France 2016) by Nicolas Montgermont. Through the evening till 24:00, we go into abyss with radio jam sessions with Eleonore by the Danube harbor, MS. Stubnitz in Hamburg and metalab in Vienna.